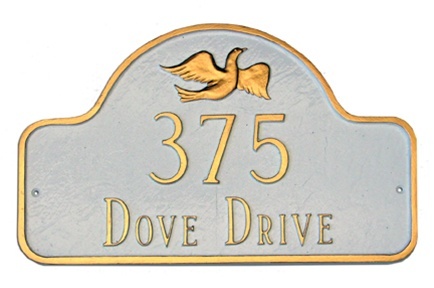 This personalized plaque features a dove in the arch of the plaque. 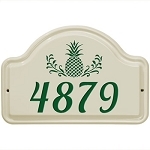 The plaque is available in a wall and lawn style. All hardware is included. 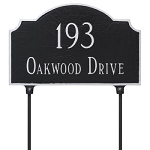 Two 23" stakes are included with the lawn plaque. Made in USA. 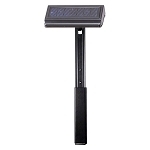 Line 2: Holds up to seventeen characters. The size of the font is dependent upon the number of characters. We will use the largest size possible.